 The purpose of the Recycling Center is to have a convenient location for Town of Exeter residents to dispose of household waste and recyclable materials. Due to limited space and the need for all residents to utilize the Recycling Center, please limit the size of your loads each week. This area is for exclusive use of Exeter residents who exclusively reside in the Town, any items from outside of the township are not allowed. Please do not be offended if we ask for your sticker or identification. You must tarp or cover your loads before leaving your residence; this will help prevent garbage from ending up on the roads of Exeter. Stickers are issued at the Recycling Center. A Town of Exeter Recycling Center sticker is mandatory EVERY time that you come to the Recycling Center! Proof of residence needs to be presented to employee and a sticker may be issued. Saturdays 8:00 AM ~ 3:00 PM Open to Town of Exeter Residents Only! ABSOLUTELY NO GARBAGE IN RECYCLE BINS! NO PLASTIC BAGS IN RECYCLE BINS. SEPERATE ALUMINUM CANS. Garbage cans in front of dumpsters are for cans. ABSOLUTELY NO RECYCLABLE MATERIAL IN THE GARBAGE DUMPSTERS! LARGE ITEMS SUCH AS COUCHES, DRESSERS, YARD WASTE, BRUSH ETC WILL BE ACCEPTED ONLY AS SPACE ALLOWS. PLEASE ASK STAFF WHERE TO PUT THESE ITEMS IF THEY ARE ACCEPTED AND ASSOCIATED FEES. FROM USING THE RECYCLING CENTER!  The Town of Exeter Recycle Center is designed to accommodate household garbage and recyclables. Fees will be assessed for disposal of larger items. Fees to be paid by check at the Recycling Center. All trash that comes to the Exeter Recycling Center needs to be generated within the Township of Exeter. The following list is not all-inclusive. We will continue to accept batteries, motor oil and metal items at no charge. The Recycling Center does not accept: chemicals, tires, paint, brush/lawn clippings, shingles, construction material, contractor waste or animal carcasses. Inquiries can be made to the Recycle Center Staff, Recycle Center Committee Members, or the Town Clerk. The Town of Exeter has no affiliation with any of the above listed companies. It makes no guarantee that these companies will accept your items or charge for them. 2009 Wisconsin Act 86 [PDF exit DNR] bans the landfilling of used oil filters and absorbents as of January 1, 2011. The ban applies to everyone in the state, including individuals, farmers, businesses, commercial or industrial facilities, and other organizations. The law does not exempt any groups or classes of individuals. The ban covers two types of materials: used oil filters and used oil absorbent materials. Used oil filters waiting to be recycled. Oil filters from other sources, like hydraulic systems and other machinery are not covered under this ban, but we encourage them to be recycled as well. A worker spreads granular oil absorbents. Photo: David Kendziorski, Stormtech, Inc. The oil absorbent ban includes materials used to absorb petroleum-derived or synthetic oil that has been used or spilled. An exception is made in the ban to allow the disposal of up to one gallon of oil absorbent materials from a non-routine spill. A gallon of material is the amount that would fit inside a dry gallon container. Non-routine spills may include oil that is released when a seal is broken, or when oil is accidentally spilled. Routine spills may include oil that leaks continually while a machine is operating, or oil that leaks each time a frequently repeated operation occurs (such as dismantling a car). Recycling is the preferred method of handling used oil filters and absorbents. Wisconsinites throw away an estimated 187,000 gallons of oil in used oil filters and 1.6 million gallons of oil in oil absorbents. Oil is a valuable, reusable material. Recycling used filters and absorbents preserves oil for reuse. Recycle: Many businesses that perform oil changes or sell oil and oil filters will accept used filters from do-it-yourselfers. In addition, some communities allow used oil and oil filters to be collected at their waste transfer stations or at specific collection sites. Contact your local recycling program for more information. Use as a fuel supplement in an approved municipal solid waste combustor. Take to a DNR-approved biopile at a landfill. Dispose of at a landfill if less than one gallon absorbent material from a non-routine spill. Cloth absorbents should be reused as long as possible and may be sent to a landfill after being cleaned to established industry standards to remove the oil.